For Siloam Daylilies I have added two sub-albums to the S album as there are many many Siloams in my yard. 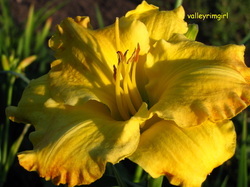 So, why not check out the Siloam sub-albums for many more beautiful daylilies. 5.5" fragrant clear hot rose pink flower with 3.5" wide petals with heavy ruffles, owl-ears and a braided gold edge. Awards: Honorable Mention 2007, Award of Merit 2010. 7" UFo crispate with a cream green self above green throat. 6.5" extremely heavily substanced ruffled gold brushed bronze blend with huge lemon yellow throat. Moderate to heavy bronzing in cool weather, less in hot and very little in hot dry weather. Full, round and recurved. Awards: Honorable Mention 1997, runner-up to the Award of Merit in 2001. 6" purple self with a small green throat. Melanie's website says that it opens well even when the nights are cool. 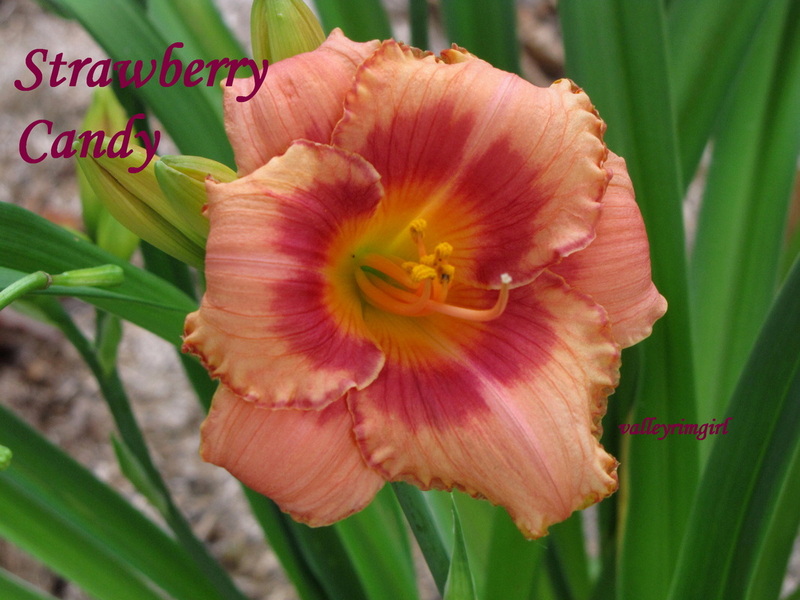 This picture is of its first bloom here in my yard, summer of 2012. It looks more red than purple. 2.87" peach pink self with wire gold edge and green throat. It has a perfectly round form and a sculpted wax-like substance. Awards include: Honorable Mention 2002, Award of Merit 2005, Donn Fischer Award for the Best Miniature in 2003 and the 2012 Lenington All-American Award for the Best Performer Over Wide Geographic Area. 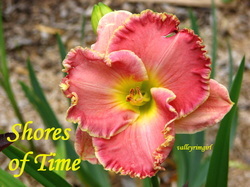 4.5" fragrant ruffled light pink with darker purplish red eye zone & yellow throat. Awards: Honorable Mention 1993, Annie T. Giles Award in 1994 for the most outstanding daylily with a small flower 3" to 4.5", Don C. Stevens Award for the Best Eyed Cultivar 1995, Award of Merit 1996, Stout Silver Metal 1998.